TYSON Fury may be on the comeback trail but, with a few more stone still to shift, it is likely to be 2019 before we see ‘The Gypsy King’ back among elite company. Therefore the only major fight of interest in the heavyweight division is Joshua v Wilder and, if this one happens, the chances of it one going the full 12 rounds appear almost non-existent. Wilder is crude but effective, and it is unlikely he would have let Joshua off the hook when his legs deserted him midway through last year’s classic showdown with Wladimir Klitschko. 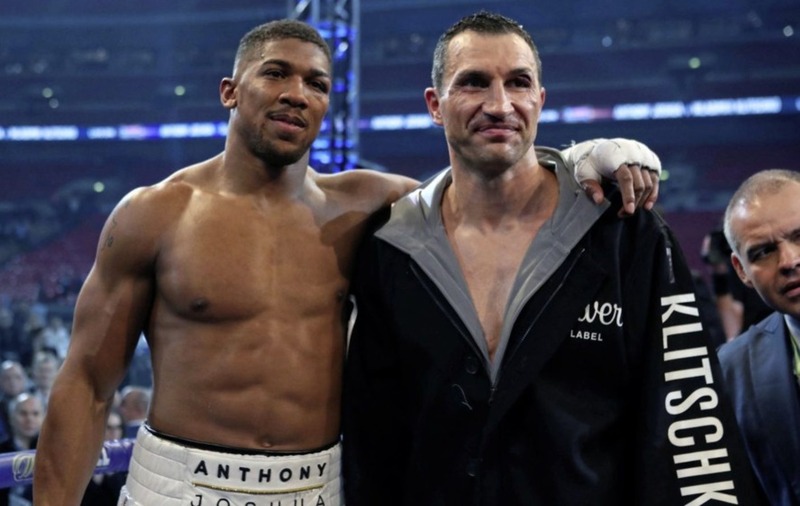 That said, Wilder hasn’t been in with anyone anywhere near the quality of the younger Klitschko brother, never mind someone his own size. HOW far up the weights does Lomachenko need to go before coming up against anybody with a realistic chance of beating him? There has been talk of a potential match-up with welterweight king Terence Crawford but Mikey Garcia could be a more realistic proposition. The Californian has operated between lightweight/light-welterweight since returning from two years out of the ring in 2016, and it is not beyond the realms of possibility that Lomachenko could make the step up from super-feather. Much, though, could depend on Garcia’s ability to get down to the 135lb limit. If he can, a potentially huge fight awaits. It is often overlooked that Lomachenko is still only 11 fights into his pro career yet, for as good as the unbeaten Garcia is, the Ukrainian would probably start as favourite. 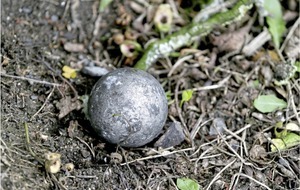 THE highly-anticipated September showdown between two of the top pound-for-pound operators may not have been the explosive affair many had hoped for but, in terms of sheer quality and tension, it didn’t disappoint. 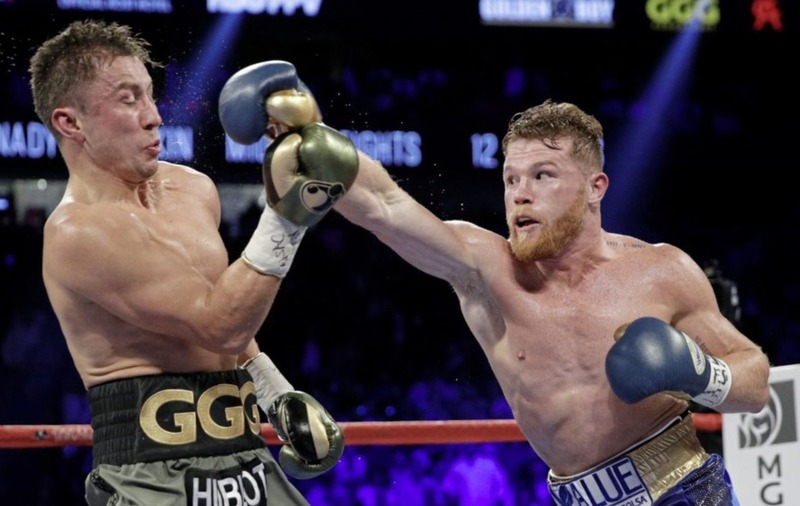 ‘Canelo’ showed that he is capable of out-boxing the heavy-handed Kazakh, but there are huge question marks over whether he has the engine to fight effectively on the back foot for the full 12. Too often he just did too little. Golovkin probably should have got the nod the first time but it was hard to argue with a draw, even if came via some dubious scorecards. A possible rematch has been mooted for the famous ‘Cinco de Mayo’ weekend, though it has gone worryingly quiet on that front. 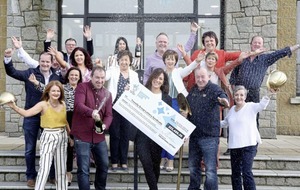 Here’s hoping it happens at some stage this year. 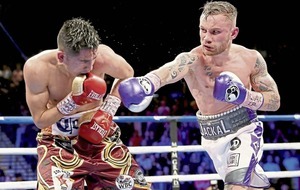 FRAMPTON v Selby has been in the mix for a couple of years now, but a deal could never be done to get ‘the Jackal’ in with ‘Lightning’, the reigning IBF featherweight champion. 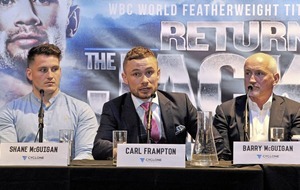 The expectation is that it will happen outdoors at Windsor Park this summer, but if that is the case Frampton will need to get past ageing, but still dangerous, Nonito ‘The Filipino Flash’ Donaire in March and Selby will have to beat 26-0 mandatory challenger Josh Warrington in Leeds. That fight is scheduled for May 19 at Elland Road leaving only 10 weeks for the winner to prepare to face Frampton at Windsor on July 28. Selby is expected to beat Warrington, but the challenger will be fighting on home turf in front of a partisan Yorkshire crowd so you cannot expect him to have things his own way. It seems clear that 10 weeks may not be enough time for either Selby or Warrington (if he claims a surprise win) to rest and recuperate for a fight with Frampton and so perhaps a third fight with Leo Santa Cruz could be the big draw of the summer. 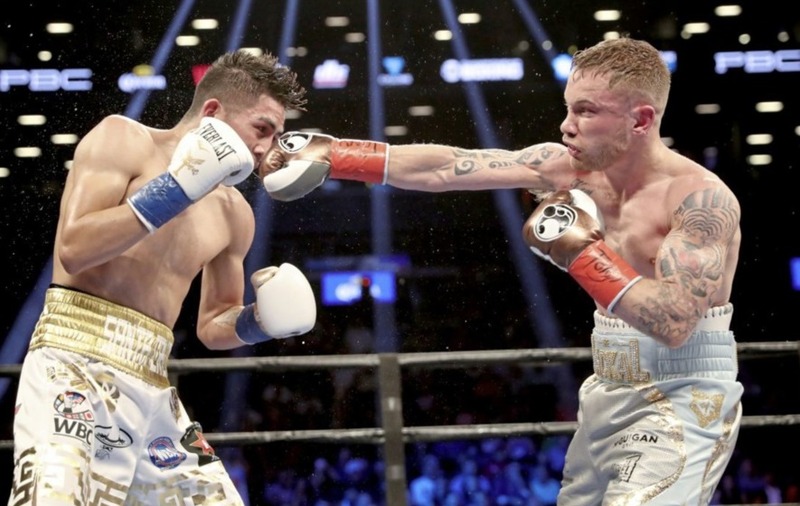 Frampton dethroned the LA-based Mexican in New York in 2016, but lost the rematch in January last year. Time has not healed the psychological damage from that defeat and you sense that ‘the Jackal’ will retire happier if he avenges it. Since beating Frampton, Santa Cruz saw off former Frampton challenger Chris Avalos, stopping him halfway through the eighth round. 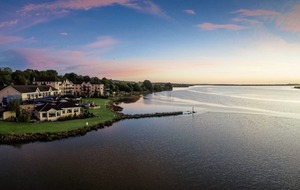 Can he be enticed to Belfast for the summer? Of course he can, but Frank Warren will need to dig deep into his pockets to make it happen. 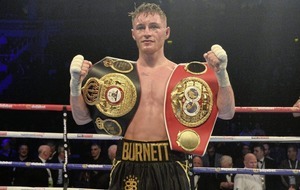 LION-hearted Burnett won two world titles at bantamweight in 2017. The first was the IBF strap which he ripped out of the hands of tricky Lee Haskins and he followed that up with an awesome display of single-minded belligerence to break Kazak hard-man Zhanat Zhakiyanov. What’s next? 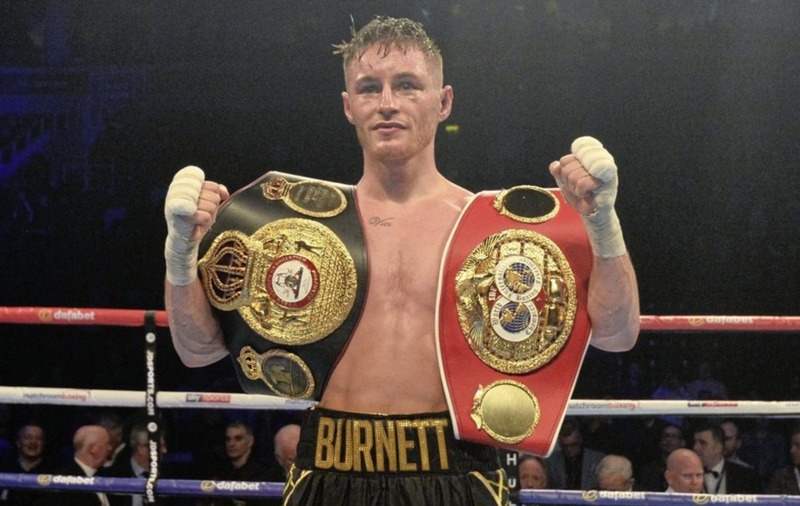 Well, the only way has to be up for Burnett and he and promoter Eddie Hearn have made no secret of the fact that they want to unify the bantamweight division. That leaves Zolani Tete and Mexico’s Luis Nery in Burnett’s firing line this year. 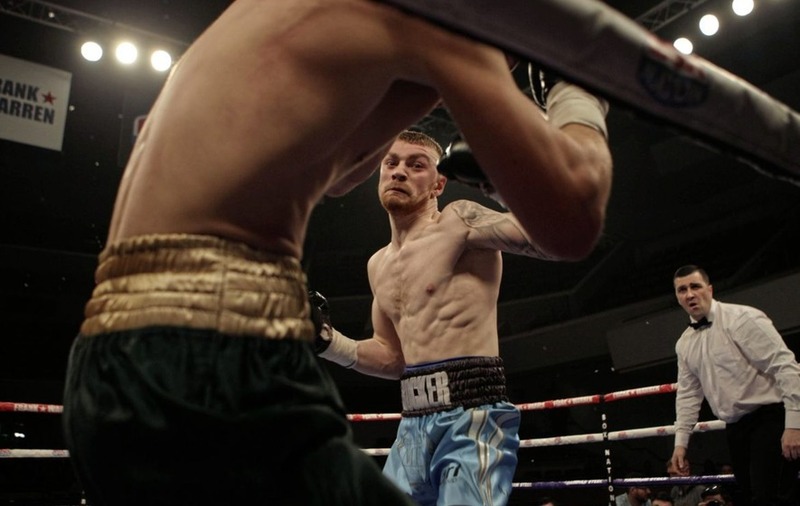 A couple of months after Burnett beat Zhakiyanov, Tete also boxed at Belfast’s SSE Arena when he defended his WBO title against fellow South African Siboniso Gonya. The fight lasted just six seconds. One immense right hook – the first punch – finished it and then Tete called out Burnett. “I would love to fight Ryan Burnett,” he said afterwards. Nery (25-0) is the WBC champion while England’s Jamie McDonnell and pound-for-pound megastar Japanese Naoya Inoue (AKA ‘The Monster’) are also potential targets. DON’T take your eyes off Barnes who is expected to make the step up to world title level in the summer. Kimura (16-1-2) is the reigning WBO flyweight champion and he won that belt after beating Barnes’ former Olympic Games nemesis Zou Shiming in July. Shiming was the fight Barnes really wanted. The Chinese beat Barnes on the way to winning gold at the Games’ in China and then London before turning pro. Barnes followed suit after the Rio Games and quickly threw down an any time, any place, anywhere challenge. Barnes hasn’t hung about and moved to 5-0 as a pro when he outclassed and stopped Eliecer Quezada to win the WBO Inter-Continental flyweight title. Daigo Higa (WBC) and Donnie Nietes (IBF) are the other champions at flyweight and former title challenger Edgar Sosa could be next for Barnes before he makes the step up. 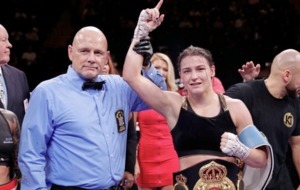 DESPITE coming through some tough moments in her last outing against American Jessica McCaskill, Katie Taylor has proved to be levels above the opposition put before her since switching to the pro ranks. A possible match-up with UFC star Holly Holm, a former 33-2-3 boxer who last fought in 2013, has been mooted, but a showdown with the experienced Persoon – holder of the WBC and IBF crowns - appears more likely. Given there is still a lack of quality in depth among the female ranks, this one could capture the imagination. ANOTHER fight that has been in the melting pot for the last couple of years, perhaps 2018 is the time it will finally come to fruition. Conlan came up short in his last, and only, challenge for a world title against Jerwin Ancajas in November, but would fancy his chances against WBA world title holder Yafai. TENNYSON’S form in 2017 saw him rocket up to fourth in the WBA world rankings. Stoppage wins over Declan Geraghty, Ryan Doyle, Darren Traynor underlined the Kronk fighter’s durability and two-handed power. After his win over Traynor, Eddie Hearn remarked that ‘Tenny’ had a decision to make – whether to push on for a world title shot or go the British title route. If he elects to shoot for the stars, Puerto Rican Machado (19-0 with 16 early wins) is the man he has to beat. BOTH will hope to put a frustrating 12 months behind them by making waves in 2018, and what better way that with an all-Irish middleweight clash to capture the public imagination? Cummings has been linked with a possible fight against Dublin’s Luke Keeler but, with Quigley now based in Sheffield having relocated from Los Angeles, a domestic dust-up could be moving closer. 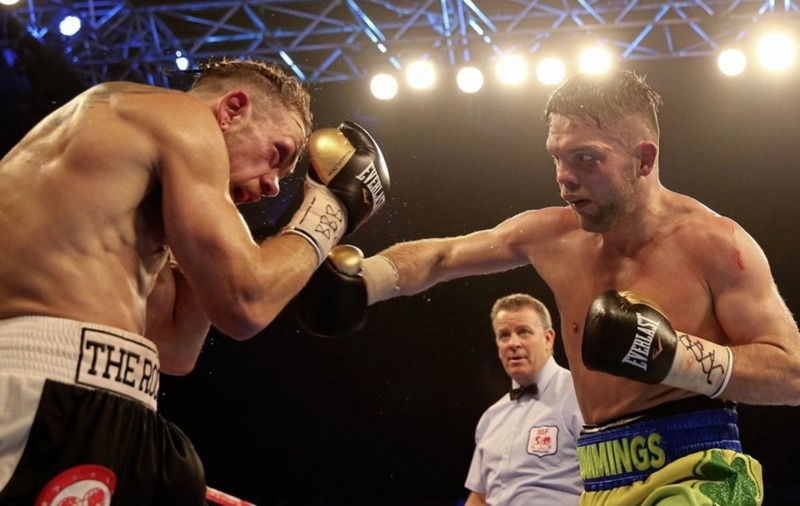 Perhaps it would be a year too soon but Cummings versus Quigley – whenever it happens – is an intriguing clash of styles that promises to deliver. 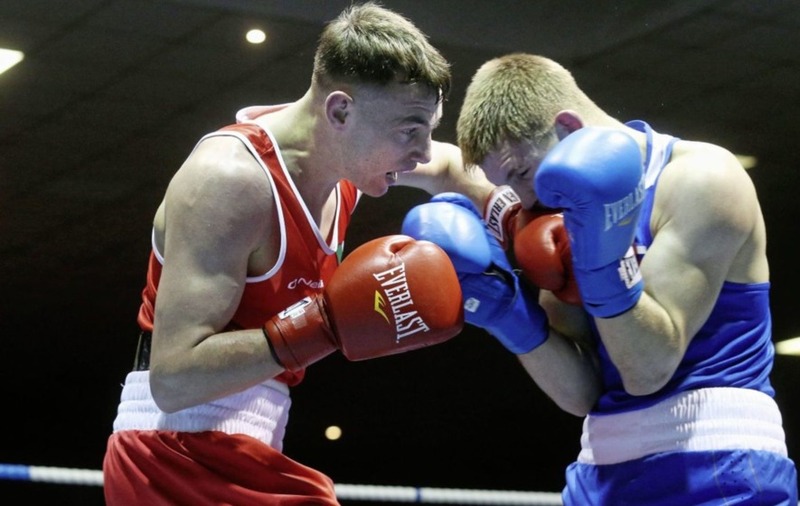 GLASGOW Commonwealth Games silver medallist Fitzpatrick has progressed to 9-0 as a pro but we haven’t seen anything like his best and he would benefit from consistent action in 2018. 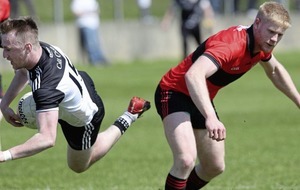 The same is true of Manchester-based McVarnock who won three times in 2017 but was hampered by a hand injury. Fitzpatrick has stated his desire to fight for the Irish featherweight title and ‘Bunty’ would be a good match for both of them. ‘THE Apache’ fell just short when he challenged British champ Ward last year. Cacace lost narrowly on points after the judges ruled he hadn’t done enough to unseat the defending champion. 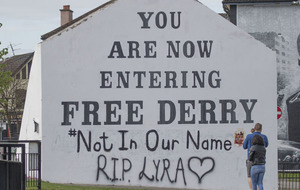 However, if the fight had been in Belfast, he might well have got the decision. After a ‘keep active’ win in December, Cacace would fancy another crack at Ward in 2018. HYLAND came through a broken jaw and some very nervy moments against Stephen Ormond to hold on to his unbeaten record and stay on track for a shot at Lewis Ritson’s British title. In truth, he could have lost the Ormond fight. He looked the better man over the first five rounds but the broken jaw and a sustained rally from Ormond had ‘Hylo’ in trouble. However, he got the win and the experience will have done him good if he gets the shot at Ritson’s title. Ritson produced the performance of his fledging career to rip the British lightweight belt from Robbie Barrett in October. BENN – son of ‘Dark Destroyer’ Nigel - has had the big build-up at the start of his professional career, and in proved he is more than just a name with some impressive performances. However, welterweights everywhere, Crocker included, will have watched with interest as Benn was floored twice early on by unheralded Frenchman Cedrick Peynaud (5-5-3) last month. Only a big finish saved ‘The Destroyer’ from an embarrassing defeat as he scraped to a narrow points win, and the heavy-handed Crocker – who hasn’t put a foot wrong with four early KOs from four fights so far – would certainly fancy the job if it came along. 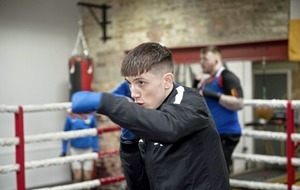 CONLAN is only five fights into his pro career so it’s early days for him, but with a June homecoming on the cards, England’s Bellotti (9-0) would make for an interesting clash between two unbeaten prospects. Volume puncher Bellotti stopped Jason Cunningham to win the Commonwealth title in October and would be a good test for Conlan in June. GAVIN is scheduled to fight Bethuel Ushona for the vacant IBO world title in February, but a possible dust-up with ‘Pat Man’ down the line would be great for fight fans. THIS pair had looked to be on a collision course last year, but McCarthy v Watkins could happen in 2018 after they were ordered to fight in a British title final eliminator. Purse bids are due by January 10, and it could form part of the Carl Frampton v Nonito Donaire undercard on April 7. Watch this space. 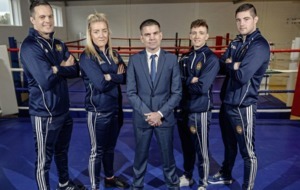 THE English team has yet to be finalised, but Irish fight fans would love to see Sean McComb exact revenge for his controversial defeat to McCormack at last year’s European Championships in Kharkiv. Having beaten reigning world champion Vitaly Dunaystev in the last 16, McComb appeared to dominate the final two rounds of his quarter-final clash with McCormack – only to come out on the wrong side of the judges’ scoring. A rematch in the 64kg final Down Under could be huge. 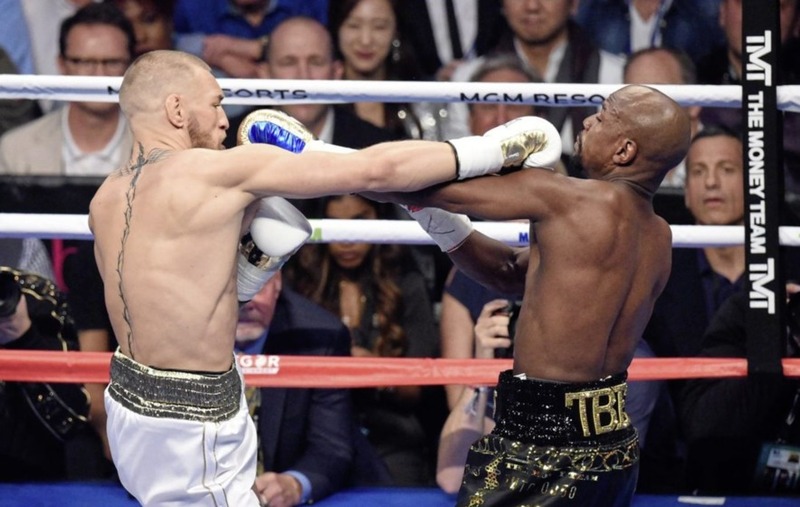 McGREGOR’S farcical tickling match with Floyd Mayweather jr should have proved beyond doubt to him, and his legion of adoring fans, that his future belongs in the octagon. The last time Malignaggi stepped between the ropes he was battered by Birmingham’s Sam Eggington. ‘The Magic Man’ and McGregor may have cultivated some kind of angst as a result of their most summer spars but, really, who cares any more? HOW does this even merit a rematch? The first fight was an abomination. Watching the once-brilliant Haye off balance, swinging wildly (this is even before his body gave up on him) and struggling to pin down a man he would have despatched inside a couple of rounds in his pomp was a sorry sight. 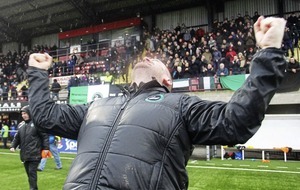 ‘Bomber’ finished the job and did what he had to do. Let’s leave it at that.